BlackBerry creator RIM held it’s annual BlackBerry Developer Conference today and announced the PlayBook, a BlackBerry Tablet running a new BlackBerry Tablet OS that the company calls the “fastest tablet ever”. The tablet sports some pretty impressive specs that stack up quite nicely on paper compared to Apple’s iPad, although we’re not too impressed with the name. 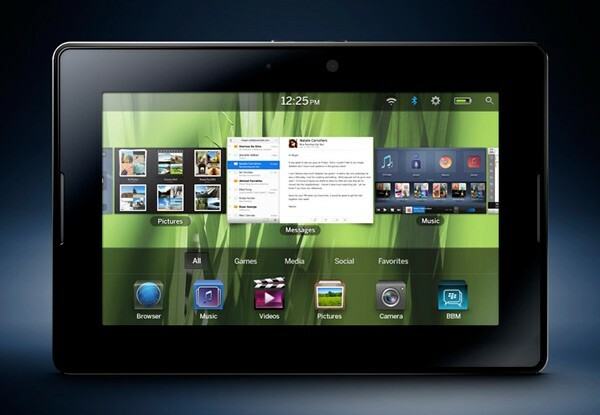 The BlackBerry PlayBook packs in a 7-inch 1024 x 600 display with capacitive multitouch, 1GB of Ram, and a Cortex A9 based, 1GHz dual-core CPU. The device also has front and rear facing cameras, with a 3 mega-pixel lens on the front and 5 mega-pixel on the back. The PlayBook also has some quite impressive ports, docks, and peripheral support with an HDMI port, built in Bluetooth 2.1, a microUSB jack, and 802.11a/b/g/n WiFi. The device is 0.4 inches thin and weighs 0.9 pounds heavy. The BlackBerry Tablet OS that will run on the PlayBook will support symmetric multiprocessing, HTML5, Adobe Flash Player 10.1, OpenGL, Java, Adobe Mobile AIR, POSIX, and Adobe Reader. There is no word on pricing as of yet and the only hint at a possible release date given during the event was “early 2011”. 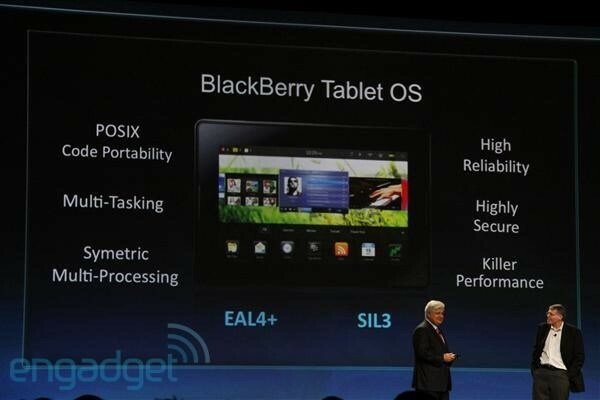 Below is the “BlackBerry PlayBook Preview” video showing off some of the features and the UI of the new device. RIM Buys BlackPad.com, Is This The Name of The New BlackBerry Tablet?